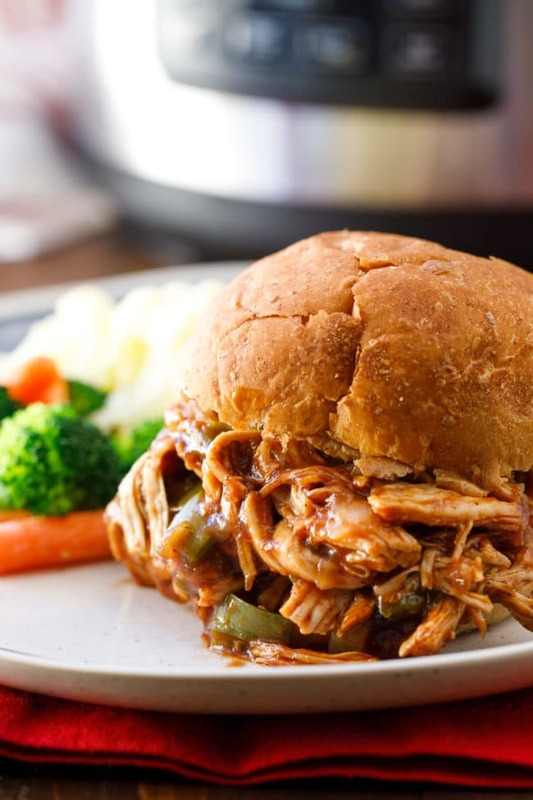 This Pressure Cooker Pulled Chicken recipe is sponsored by the Crock-Pot® brand. All opinions are my own. 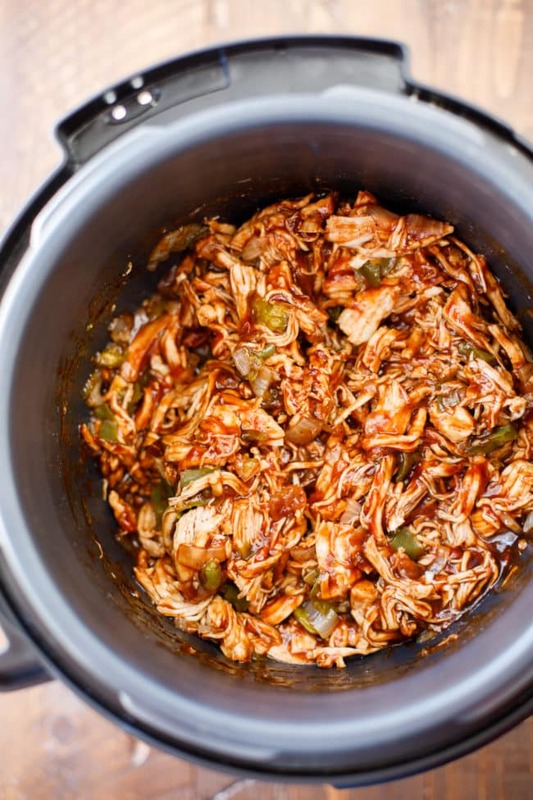 Friends, you’re going to thank me for this scrumptious pressure cooker pulled chicken recipe. It’s so incredibly simple, delicious, and best of all, super easy to make even on busy weeknights! I recently mentioned how much I am adoring my new Crock-Pot® Express Crock Multi Cooker, but it’s worth repeating! 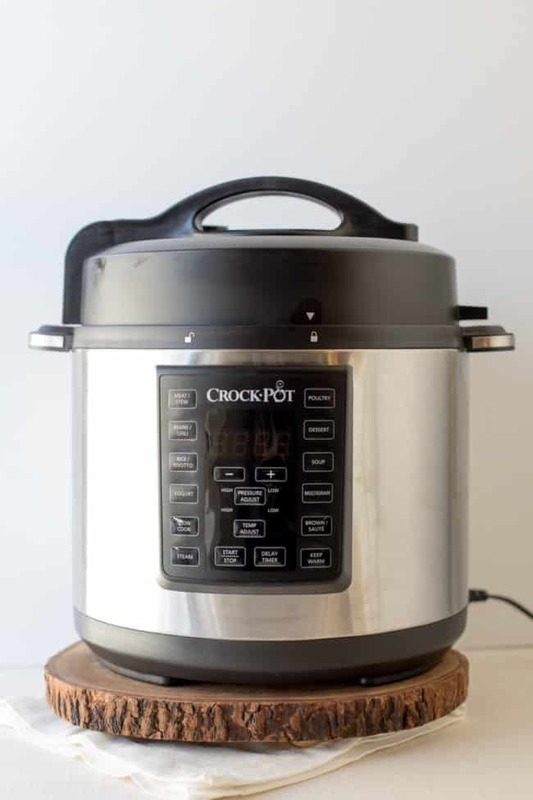 The Crock-Pot® Express Crock Multi-Cooker helps me create delicious dinners by combining the functions of a pressure cooker, slow cooker, steamer, sauté/browning, along with 8 built-in preset buttons that effortlessly cook a variety of great tasting meals. It puts food on our table 70% faster than traditional cooking. I’ve been a little slow to jump onto the pressure cooker wagon. If you’re in the same boat, don’t keep putting this off! 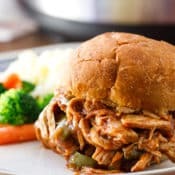 The first recipe I tried was an easy Pressure Cooker Chicken Orzo Soup, and my latest recipe is this yummy Pressure Cooker Pulled Chicken. 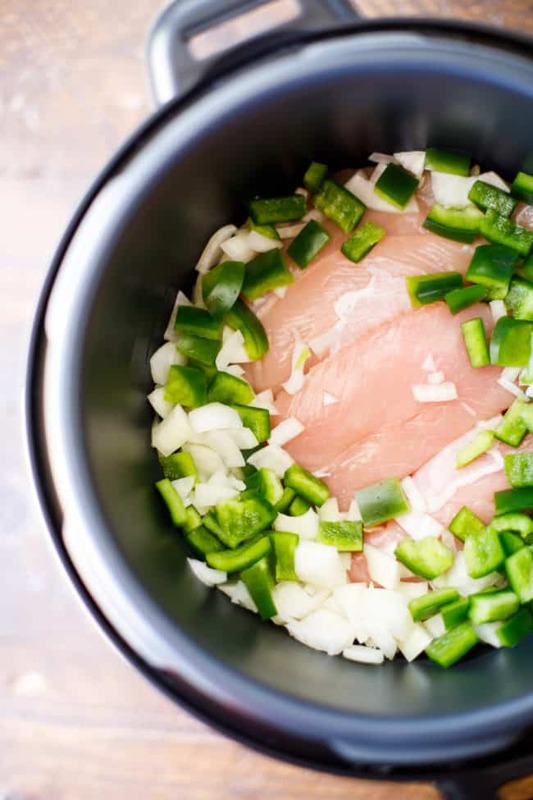 Y’all, this pressure cooker shredded chicken recipe is to die for. The meat is incredibly tender and works well for lunches throughout the week. In fact, this would even be a great meal prep recipe. 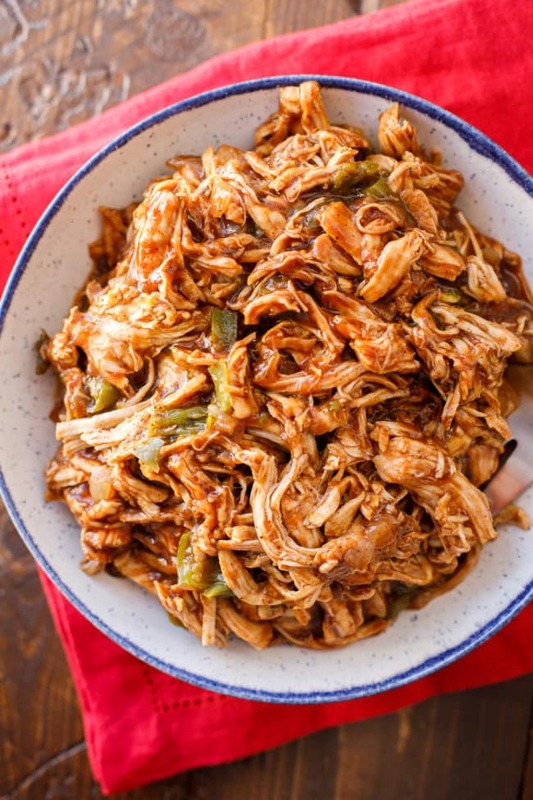 You could pair this shredded chicken with steamed vegetables, roasted potatoes, rice or quinoa to create quick and easy meals to sustain your family throughout the week. I chose to use chicken breasts in this recipe but you can use whichever type of chicken you prefer. 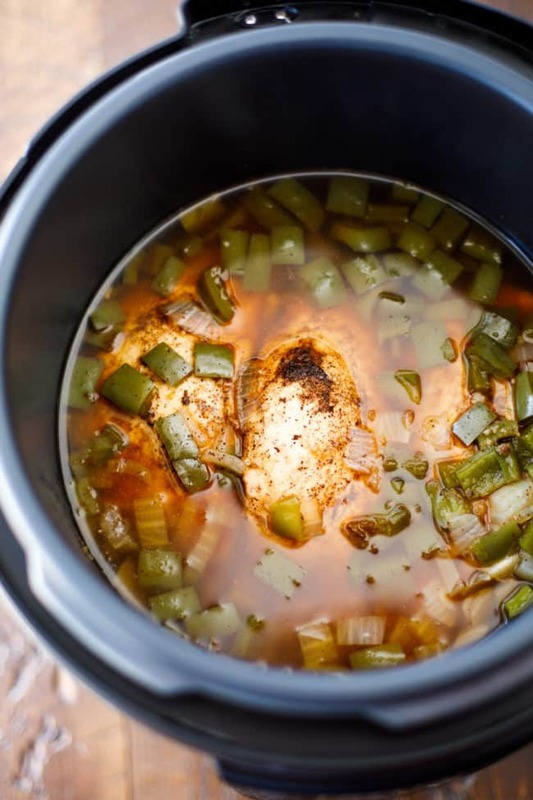 I have so many recipes that utilize chicken that I can’t wait to transform into pressure cooker recipes! It’s really amazing how fast you’re able to put dinner on the table when you’re preparing pressure-cooked meals. I am truly a convert! In fact, my kids ask for pressure cooker spaghetti about three times a week! 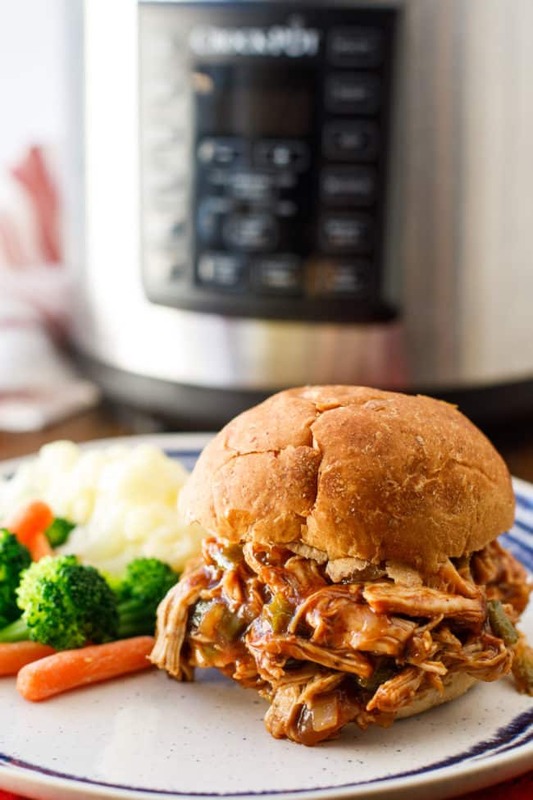 Whether you choose to serve this pressure cooker pulled chicken with veggies or on a big soft bun, you’re going to love this easy family dinner option. Be sure to keep reading to find my easy 7-day Holiday Helper Meal plan and find out how you can enter to win your own Crock-Pot® Express Crock Multi-Cooker! 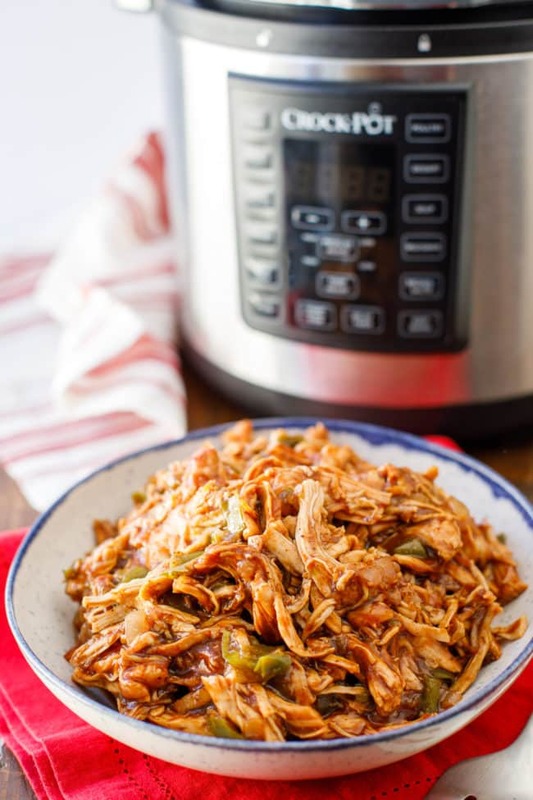 This simple pressure cooker pulled chicken recipe is a delicious family meal option! 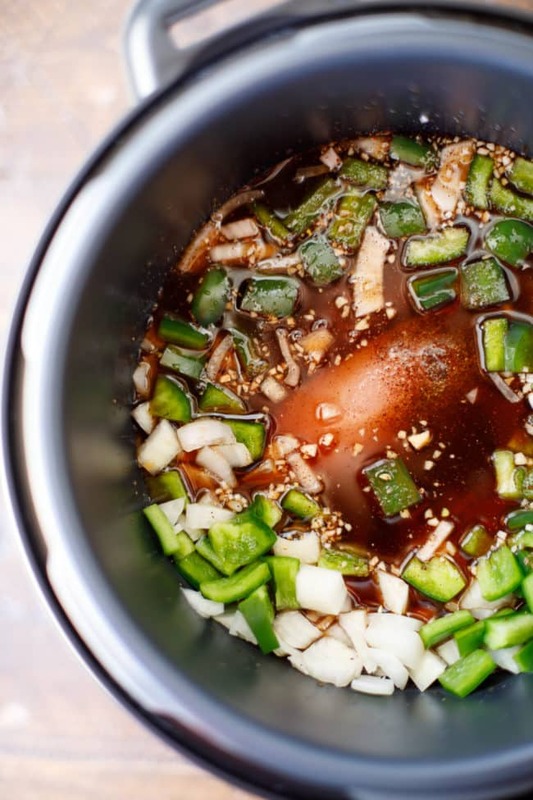 Place chicken breasts, chili powder, sugar, salt, onion, garlic and green pepper in your pressure cooker. Cover with 1 can cola (I used Coca-Cola). Lock the lid and ensure the valve is closed. Pressure cook on high for 15 minutes. When you hear the beep indicating the cooking is completed, manually release the pressure. Once pressure is released, remove the lid. Carefully (it will be hot, use oven mitts) lift the inner pot out of the cooker and drain the liquid. Remove the chicken to a plate and use two forks to shred the meat. Return to pot and add 1 bottle of your preferred BBQ sauce. Stir to coat the chicken. You can use the brown/sauté mode to re-heat the mixture if too much cooling has occurred while shredding. This should only take a couple minutes. Serve warm on buns!